I had ten days off at Easter/ Time enough to catch up with a few things, but I didn't even get round to reading a book. The last two novels I've started haven't really grabbed me - both contemporary novels they seem sluggish and unengaging. I'll plough on, but wonder if its these particular books - minor works by writers I've previously enjoyed - or something in my patience these days. Maybe I only have time for good books, brilliant books, original books.... but how to find them? It does seem like the year is moving at apace. Somehow we're back in election cycle again. Maybe this is the new barometer of economic activity? Have more frequent elections with all the costs, all the nonsense, and then see what happens? Anyway more on that another time perhaps. There have been a lot of cultural things going on. I'll mention a few in case you've missed them, or simply to say thanks. Mystery Tubes - not an event, but an initiative from Islington Mill as part of its innovative fundraising methods to match fund the public money to restore and expand provision at this amazing building. For £25, a tube with original art contained within from a range of contemporary artists who've contributed to help fundraising for this unique venue. There's a Heath-Robinson style vending machine in Fred Aldous art shop in the Northern Quarter. Making Space by Sarah Tierney - though its hard to believe its so long ago, I first met Sarah Tierney as she studied on the same creative writing course as me but a year or two after. She's always worked as a journalist and had a few things published over the years, but "Making Space" is her debut novel - and was launched at Waterstones last week. An unorthodox love story that covers mental health, urban living, Whalley Range, growing up in your twenties and hoarding - I'm looking forward to it, although a friend read a bit about the "hoarding" and said "is this you?" All the Places I've Ever Lived by David Gaffney - plenty of anticipation for David Gaffney's 2nd novel, and maybe his sixth or seventh book - a novel set in West Cumbria, that not so much mixes genres as leaps over genre-distinctions without a second thought, I read and enjoyed parts of this as it was being written - and you can hear it in and around Manchester in the forthcoming weeks with a launch event at the Wonder Inn on Shude Hill on Thursday 18th May with support from rock 'n' roll-literary types Hot Shorts and poet, man-about-town Tom Jenks. All The Sins - this is an online magazine going from strength to strength and I'm pleased to have two poems "Artist Pop" and "Joni" in its latest edition. Bank Holidays - the Easter one in particular - should be a time for reflection. The endless UK winter suddenly seems to have given way to nights that stretch past eight o'clock, and with the usual "delays for rain", even some sunny days. I finished work a day and a half early - time owed from end of March - though fitting holiday time in at the moment has been a challenge. Twas ever thus. On Wednesday I'd planned to go to see some countryside - perhaps heading to Todmorden or Hebden Bridge but it was the kind of endless rain thats fine weather only for the ducks. Instead I headed down to Macclesfield, which, despite passing through on hundreds of occasions, I'd never been to. I didn't get to do any sort of Ian Curtis pilgrimage (that rain again), but had a wander round the small market town, and found an excellent second hand record shop, as well as the usual charity shop trawl which came up with at least one gem. a UK first edition Tom Wolfe. I was a big fan of "The New Journalism" back in the day, finding the hyperbolic prose and the counter-culture subject matter equally enthralling. Coming back into Manchester there was a launch for the new edition of "The Modernist" magazine - this time to coincide with the exhibition at Manchester Central Library of GALT TOYS. I'm not sure I ever had any Galt toys, though there was a vague familiarity about the designs. Maybe I was just a little too young, or more likely, Galt toys were a bit outside of our price bracket. On Thursday I had agreed to help out the Manchester music archive with some testing of a redesign of their website which will be launched in June alongside their next real world exhibition. I've been involved with the archive since it began and it remains - like the Modernist Society - one of those Manchester-evolved gems that has come from genuine need and genuine passion. The city's buildings-led arts regeneration would be just a series of empty boxes without these voluntary led initiatives. Rushing straight from that HOME, the point was brought home, in that they're increasingly putting on side-events and providing local showcases, alongside the main theatre, art and cinema offering. A large marquee outside has been programming bands, musicians and DJs, to coincide - however tangentionally - with the Viva! Spanish film festival and the new art show, La Movida. On all weekend if you're looking for something to do. I didn't get much of a chance to look in detail at the show - the usual preview curse - but pleased to see there's a new commissioned film about Savoy Books by my friend Clara, as well as appropriate archive work from Derek Jarman and Linder amongst others. There's a lovely irony that the Lord Mayor of Manchester was there at the opening of a show which is merciless in its criticism of "God's Cop", James Anderton. It struck me that the "culture wars" of the seventies and eighties have been replaced with something different - about money, austerity, globalisation - and the sexual politics inherent in a show like this (echoing the Spanish post-Franco "La Movida" movement) might appear to be a mere historical moment - (and then you read about concentration camps for gay people in Chechen, Russia's assault on minorities, the repression of much of the Islamic world of LGBTQ, religious and female freedoms...and think, maybe not. ).Outside of HOME, the marquee provided a warm place on a cold evening, and was thrilled to see a full set by the wonderful Ill, who have turned into a powerhouse since I last caught them a few years back at a poetry event. Brilliant stuff. So I'm guessing I need less... less stress obviously, but less stimulation, less consumption, less trying to fit everything in. I've often wondered how some writers I know manage to go to endless spoken word nights, for instance - there's one in Manchester most nights of the week - then there's theatre, art, music, dance, sport, restaurants etc. etc. Rarely have I needed a week's break so much. But with so much to do in that week - I perhaps need to just let it go a little. A friend said only do what is "useful or beautiful" which I think is a good mantra, but as the above list shows, doesn't narrow it down too much! Tonight there's an electronic music open mic at Fuel in Withington, which could well be both. There's a reading from their new show-accompanying book at HOME, which might also tick both boxes. And we're just entering "peak period" for activity...with Record Store Day, Sounds from the Other City and Manchester International Festival on the horizon. And of course, my version of "less", might be still "more" - as yesterday I finally watched the brilliant Coppola movie "The Conversation" (how did I ever miss this?) featuring a superb Gene Hackman performance; and wrote a 1500 word essay for a new website that should go live soon. Less....is always relative. But I think its more about curating ones time so that there's not just time to experience, but time to reflect, and time, on a Bank Holiday weekend, to do nothing...or at least an approximation of nothing. As literature takes up less of the critical airspace, I wonder if the apparatus around it - the universities, the archives, the literary critics and textual editors - will disappear, or simply continue on a merry-go-round of "classic literature", an official narrative that is as much about heritage (which attempts to fix the past), as culture (which attempts to define the present.) I sometimes think I should start buying up rare books, Modern First Editions, but suspect that the audience for it - I'm already 50 - is dying out, even as the "classics" grow in value and stature. Now that the 20th century (or at least that bit of it that finished before the war) is in the box labelled "history, do not mess around with", I do wonder about the appetite for the writers of the sixties, seventies and eighties. This, after all, was a period of mass publication, of writers becoming rich off the their work, of them having a place at the cultural (and often the political) top table. Yet if you want to find a good quality early edition Mailer, or Vidal or Updike or Roth or Bellow or Lowell or Rich, chances are you'll be in luck. Yes there are modern rarities, and they'll become more sought after I guess - as the better Beatles and Stones editions become more sought after - but probably for a rarified few names. Outside of just a few names, I wonder how many writers will receive anything more than the most cursory of literary curation? The death of Emma Tennant last year, made me realise she was a name I'd often seen, but not got round to reading. Nobody, apart from me it seems, is buying up her paperbacks. Imagine then not just for the living writer: but the struggling writer, or the hidden writer? Curation is not likely to be something that you can hand over to an institution - though there are probably still a few American universities betting on the writers' "futures market" acquiring archives of the Will Selfs of the world or whoever. Whereas even the most obscure of musical names will probably have some kind of fan base - or an archive industry looking to resurrect interest at a certain time - writers pretty much have to go it alone. I'm a natural curator of my work. It partly came about through frequently moving house when I was younger; partly through the need to store and keep ones work in some sort of order across half a dozen PCs across 20 plus years. I've a folder on this computer called "Archives" which sounds more organised than it is - in it are subtitled folders like "Gateway computer 2002" or "2010 archive" or "Disk 1-12". I picked up the David Foster Wallace "Reader" last week. There's nothing much new in it - an early story, plus some teaching notes to give some context - alongside the best of his essays and stories and substantial extracts from his three novels. As a writer who died too young, there's an additional sense in this collection - though perhaps there's something of giving the estate something to do. Like a musical box set allows reappraisal so does a collection of a writers work. I've always been a great fan of things called "The Essential..." or "The Portable..." or "...Reader". For a writer whose work is strewn all over the place (e.g. Burroughs) it offers a handy volume that gives a taster beyond the core texts; for a writer who is renowned for their short stories (e.g. Hemingway) it offers a good way to sample the best of these, whilst pulling out novel extracts that are equally quotable; and for the giant whose work is dominated by one book (e.g. Joyce with "Ulysses") a collection allows an insight into the wider range of their work. Whether anyone reads them cover to cover is another matter - but I wish there were more of them. My shelf of Bruce Chatwin books would benefit from an accompanying "best of", I think; whilst surely someone like Doris Lessing or Angela Carter could be usefully so extracted? But the lure of these collections is obviously a retrospective one: a summing up somehow, and concentrating on published work, with an emphasis on the best, not the worst. If you were a modestly successful painter turning fifty, a retrospective show wouldn't be such a bad idea; to show your progress and your changing styles over the years. I kind of think writers don't curate enough - or at least publicly. And its not about audience or to feed their publisher so much as to provide a little bit of self-reflection. "What kind of writer am I?" might have been the question I asked myself in my late twenties as I decided I wanted to concentrate on this art form. Partly its because I've written poetry, novels, short fiction, plus other stuff. But partly as well because I don't think I've ever settled to one style or subject. I once thought if I had success in something particular: say humorous stories, or experimental poetry, or noir novels, then I'd be happy concentrating on that genre, and the rest of my work would be squeezed out; but none of these have really taken hold and I have to come to the conclusion that I'm the kind of writer that does like trying different things, on a project by project basis. Spending some time looking back and seeing what I actually wrote, rather than what I've chosen to remember, or which publishers have chosen to publish, is more than just an exercise - its something of a revelation. 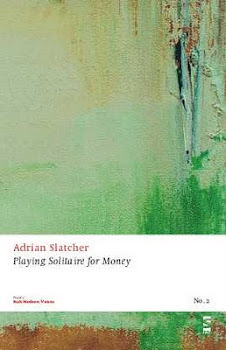 "The Portable Adrian Slatcher" which I've been putting together this week is as much as art project or a piece of literary therapy as a task about writing, but its been interesting as well. For the start I realised I wanted to foreground my unpublished novels: which by virtue of being unpublished have the dubious distinction of having taken up the most of my creative time, but being the most invisible work I've done. Between 1991 and 2002 I wrote seven novels of various lengths and styles and then pretty much stopped - so that the current novel I'm working on is by far the longest work since then. For a decade then, I was emotionally, if not actually, a novelist - but coming from a standing start, those "books" are a mix of autobiography and observation. What I hadn't realised until this week is what a manichean view of the world they share: in almost all of these longer works I've pitched an ordinary person against someone who is evil, rich, manipulative or all three. Yet these stories are set very much in a contemporary world. This, I see, was my view of Thatcher/Major's Britain. Even though the best of the books foregrounds the Labour victory of 1997, I can see that my writing project was intrinsically linked to the times I was living in. So this piece of curation has been interesting to begin to self-assess or reflect on my writing. It has always surprised me that with the plethora of creative writing courses around the country that few, if any, have really focused on the sort of praxis that is common to postgraduate art courses, though I guess the creative writing PhD is beginning to fill that gap albeit in a "by research" rather than taught way. In an art course, the work comes at the end, and may be the reaction to a dozen false starts. In writing we don't seem to have that luxury. 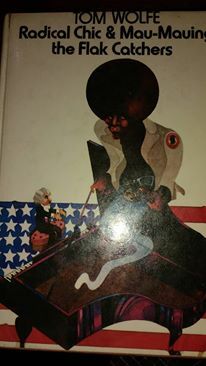 A novel is such a big thing, for instance; there's a strange desire to get poets to "find their style" or concentrate on a particular topic or theme; short stories are not meant to be one-offs, but part of longer sequences, or attached to each other through some commonality. Writing, for me, is praxis, you learn by doing, you unlearn by doing. and the process is as important as the end result, at least in terms of your creative development. Going through twenty or so years of work, you choose the best stuff, the most successful stuff, but also the stuff that is the most interesting, that offers the most possibilites. You always begin to see how themes emerge and repeat in your work, a certain patterning of your obsessions. It's clear, quite early on in my short story telling, that I am looking for some way of writing contemporary stories set in the real world, with something more imaginative or magical, whilst remaining believable. I've rarely dabbled in fantasy fiction for instance, yet even my most grounded stories often have something that is elusive and not quite real. I'd have found it hard to articulate this twenty years ago, knowing it only when I saw it in the finished work, but looking back over the work, its clearly a repeating motif. Similarly in my poetry, the anecdotal poem, which I'd learnt at the feet of Simon Armitage and others, was something I admired, copied, but eventually abandoned - for something else; more metaphysical or more abstract. Immersed in twenty years of writing, I'm surprised that I never attempted to complete a thriller or a science fiction novel or a fantasy - but of course I did begin these things, just never got very far. I'm also surprised how my longer work, until the latest one at least, is so grounded in a reality of place (The Midlands/London/Manchester) when in my stories or poetry I'm much more likely to be "stateless." The other thing I found looking through all this writing, was that it was important that I didn't unpick the good work I'd already done. Rather than go through reams of poems, I realised I'd an unpublished "selected" from 2008, which had already curated 12 years of work, and stood up to the task. With a few exceptions that's included in its entirety. Even with having up to 740 pages to play with (the limit for a paperback on Lulu.com) I had to make choices. There's no room for a whole novel for instance, though a novella appears in full. I've also avoided early, apprentice work, non-fiction, these blog posts, reviews and literary criticism, poetry sequences, lyrics, and dramatic works (except for my one play, which echoes the themes of my novels). As I was putting it together - thinking this would be a collection of all of the work I'd like to "preserve" up until my 50th this year, I realise I had to make the cut-off point much earlier. The poems I've written since 2010 are still doing the rounds, still looking to be published as a stand alone collection; and to extend the timescale much beyond 2011 for my short fiction would have brought in another dozen stories I'd have had to include. I'm aware of what a quixotic task this all is, but as someone who periodically, and naturally orders my work, it seems something that I wish more writers would do. For me it brings together different forms - poems, short and long fiction, drama - that often have the same aims. Also, one of the things I realised late last year as I put together some of my more recent stories, is how often I "apologise" for my creative work. An explanation is, I guess, something of an apologia in itself. However, whereas when a work is written, and sent out, you can happily defer to a publisher or magazine the right to publish it, over a longer time period, a longer career, the rights return to the author. In the absence of anyone else to curate my writing, I retain the right to do so. What I do with it then - a limited edition, a reading, an e-book, or nothing - is of less important than the critical act of curating itself; which provides the kind of reflection that writers need to have now and then, regardless of their level of success or otherwise.